The IUCN, International Union for Conservation of Nature, is the global authority on the status of the natural world and the measures needed to safeguard it. For more than 30 years the Polar Bear has been listed on the IUCN Red List of Threatened Species in the “vulnerable” category (superseded only by Critically Endangered and Endangered categories). 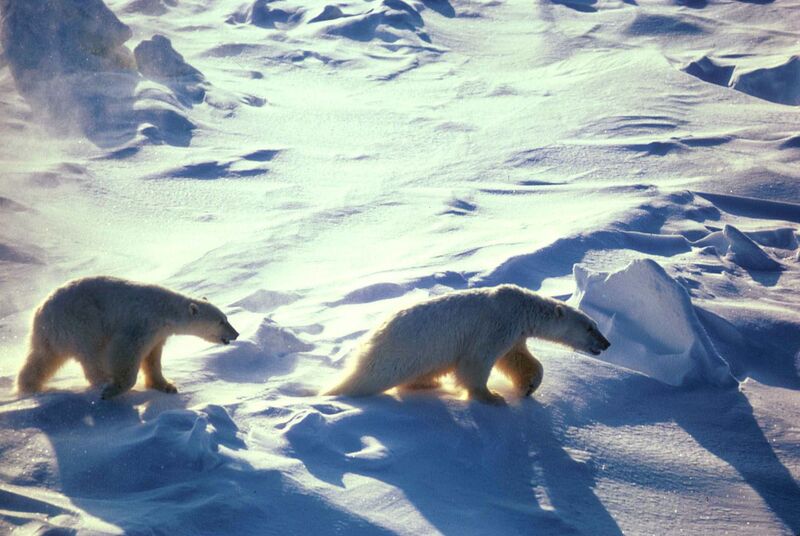 The current Polar Bear population is estimated at around 26,000. Scientists predict a 30% population decline over the next 30-40 years due mainly to the shrinking of sea ice in The Arctic – the Polar Bears natural habitat. Why is the Polar Bear Population continuing to decline? Polar Bears continue to decline to critical population levels as important habitats are being decimated and ecosystems continue to be thrown off course owing to global warming, pollution, evidence of invasive species and direct human impact. 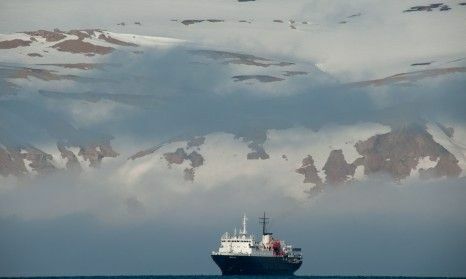 The world is about one degree warmer than it was in pre-industrial times and in the Arctic it has warmed twice as fast with significant and noticeable changes. A recent IUCN article reported that sea ice has declined considerably over the past half century. Additional declines of roughly 10–50% of annual sea ice are predicted by 2100. The summer sea ice is also projected to decrease by 50–100% over the same period. Additionally, the quality of the remaining ice will decline. These changes are expected to have a negative effect on the population size (Derocher et al. 2004). As sea ice recedes new resources can potentially be exploited (sustainable fishing, gas and oil reserves….) which would directly have a negative impact on the long term survival of polar bears. There is little doubt that polar bears will have a smaller and increasingly poorer habitat quality in the future. 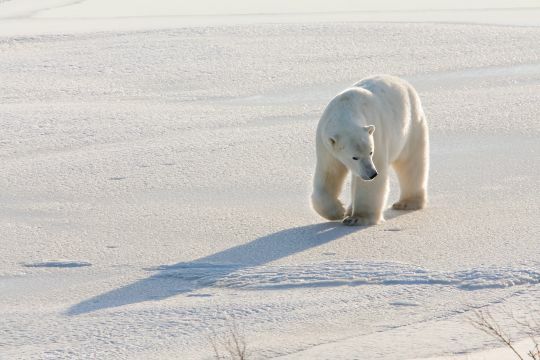 Because of this expected habitat loss, the polar bear is classified as a vulnerable species, and at least three of the nineteen polar bear sub-populations are currently in decline. The Red List is produced by the IUCN Species Survival Commission (SSC) – a global network of 7,500 species experts. They hold the most complete scientific knowledge base on the biology and current conservation status of species. All species on the list must be re-evaluated at least once every 10 years. Classification into the categories for species threatened with extinction (Vulnerable, Endangered, and Critically Endangered) is through a set of five quantitative criteria based on biological factors related to extinction risk and include: rate of decline, population size, area of geographic distribution, and degree of population and distribution fragmentation. 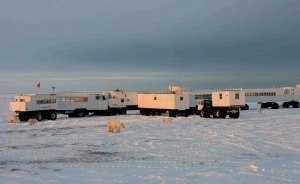 The Authority for evaluation of the polar bear is the SSC Polar Bear Specialist Group. Their assessment concluded that the polar bear should be listed as “Vulnerable”. The assessment was based on a suspected population reduction of > 30% within three generations (45 years) due to decline in total area of distribution ( area of occupancy and extent of occurrence) and habitat quality (Schliebe et al. 2008). A reassessment of the IUCN Red List status of the polar bear by the PBSG is due by 2018. Found in the Arctic Circle and adjacent land masses as far south as Newfoundland. The polar bear tends to frequent areas where sea ice meets water and hunts seals, which make up most of its diet. 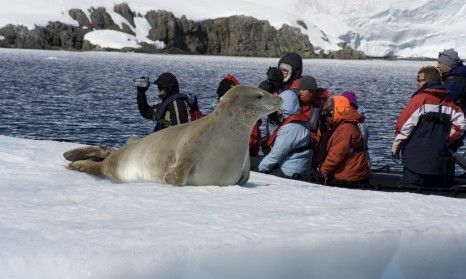 It has a well-developed sense of smell, being able to detect seals nearly 1 mile away. Adult Polar Bears are solitary. 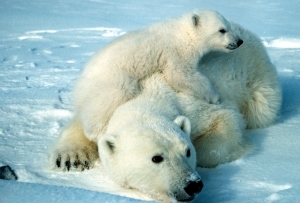 Females give birth to one or two cubs, who stay with their mother for around two years. A marine mammal who spends many months of the year at sea. It is the only living marine mammal with powerful, large limbs and feet that allow them to cover miles on foot. Their range includes the territory of five nations: Denmark (Greenland), Norway (Svalbard), Russia, the United States (Alaska) and Canada. These five nations have signed up to the International Agreement on the Conservation of Polar Bears, which mandates cooperation on research and conservation throughout the polar bear’s range. Adult male polar bears weigh 350–700 kg and measure 2.4–3 metres in total length. Adult females are roughly half the size of males. The Polar Bear has an elongated body build and a long skull and nose. Its legs are stocky and the ears and tail are small. It has large feet to distribute weight when walking and to provide propulsion when swimming. The pads of the paws are covered with small, dermal bumps, giving traction on the ice. The polar bear’s claws are short and stocky probably to grip heavy prey and ice. The 42 teeth of a polar bear reflect its highly carnivorous diet. The white coat usually yellows with age. Males have significantly longer hairs on their forelegs, and this is thought to attract females. 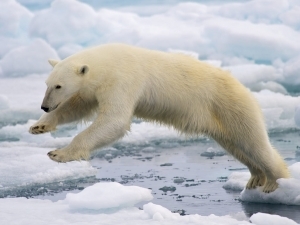 Polar bears can swim 6 mph and can sprint at up to 25 mph. They are capable of fasting for up to several months and live off fat reserves. Unlike Brown Bears they do not hibernate. ‘To see a polar bear striding far out across a wilderness of Arctic ice is one of the most moving experiences nature can offer. Polar bears have a special attraction – because of their size and strength, the loneliness of their lives and the peculiar, unpredictable fragility of the beautiful landscape they inhabit.’ Stephen Mills, naturalist and wildlife researcher. Churchill lies on the western side of the Hudson Bay just below the Arctic Circle (66° 34′ North). 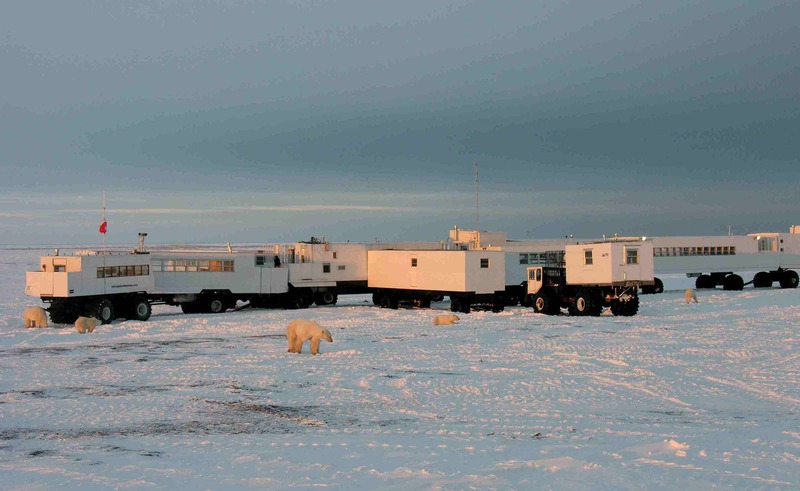 The resident population of Churchill is around 800 but because it has been called the “Polar Bear Capital of the World”, it’s tourist population can reach over 3000 at peak times. Uncontrolled tourism has led to over commercialisation, and irresponsible tourism is having dire consequences for the polar bear population. Tourists get very close to polar bears in Churchill on game drives in tundra buggy. Seeing polar bears in Churchill is easy BUT as a result the bears are becoming habituated through too close a contact with tourists and tundra buggies, the town is encroaching in to their habitat and the smell of human food increasingly brings the bears in to town and in to conflict with the people of Churchill and as a result many end up in it’s ‘bear jail’. 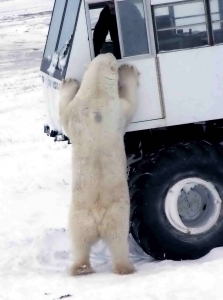 The killing of polar bears that come in to town has stopped but this remains a catastrophic situation. Svalbard is part of north Norway’s archipelago. Deep inside the Arctic Circle it is barely 500 miles from the North Pole. 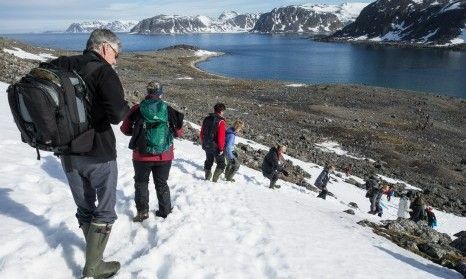 It is one of the last true Arctic wildernesses and home of one of the most northerly human settlements – Longyearbyen. The human population of Svalbard is under 3000 but several thousand Polar bears inhabit this remote archipelago and can be observed on wildlife cruises. Tourism is relatively small scale but boats are getting bigger every year and cruising in concentrated waters, and more hotels have been built in Longyearbyen. Observing polar bears from a boat may not get you up as close as the tundra buggy does but it is far less intrusive for the bears. If you choose a smaller ice-breaker ship you will travel far north and experience all the Arctic has to offer with no other vessel in sight for days on end and really appreciate the vast whiteness and the silence of the Arctic as well as the loneliness and struggles of a polar bears existence. 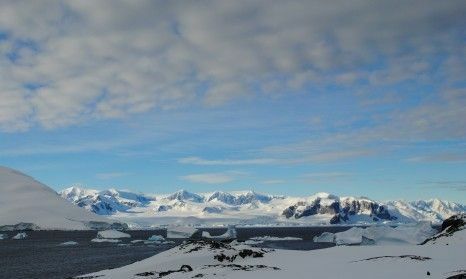 You get fully immersed in to the polar bears habitat with walks on the icepacks and glide amongst the ice floes and the up to the shore in zodiacs. Tourism to Svalbard has minimal impact on the polar bears and other Arctic wildlife. You can share the wonders of the Arctic and observe polar bears as you sail around remote northern Svalbard on board a small 53-cabin icebreaker with your own private naturalist; Stephen Mills MA (Oxon). Arctic wildlife includes polar bears, walrus, bearded, hap and ringed seals, minke, Greenland, fin and blue whale and many seabirds. On land you can find Arctic fox and Spitsbergen reindeer. The midnight sun is also special to experience and means you have 24 hours wildlife watching.